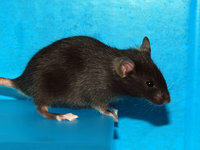 - BRC Current Technology "First knockout MSM/Ms mouse created"
| BRC Current Technology "First knockout MSM/Ms mouse created"
Oyama M, Kikko Y, Katada T, Kontani K, Miyake K.
Nat Commun. ; 8(1):1592, doi: 10.1038/s41467-017-01687-x, 2017. Sato T, Yao M, Kimura H, Fujii T, Ogawa T.
and maintains mouse spermatogenesis in vitro. Sci Rep.; 7(1):15459, doi: 10.1038/s41598-017-15799-3, 2017. 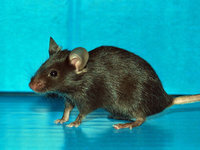 PD-1-deficient mice perturbs brain monoamines and emotional behavior. Nat Immunol. ; 18(12):1342-1352, doi: 10.1038/ni.3867, 2017.